"The Owl Foundation Ontario has a visitor from the United States! Meet "Frightful", a young male Peregrine Falcon recovered in Burlington. Frightful is recovering from road rash and severe bruising to the underside of his right wing. 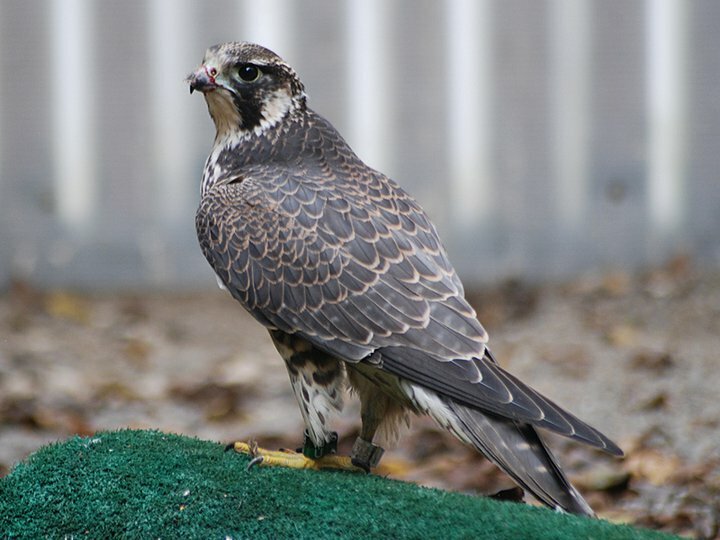 He's still very sore, but is enjoying the space and quail he's receiving in his flight training complex. Frightful was banded at Buffalo Central Terminal this past spring." Labels: tof frightful peregrine "the owl foundation"